The Atchison Bar Association is an informal group of lawyers and judges who have the privilege of regularly working in the District Court of Atchison County, Kansas. 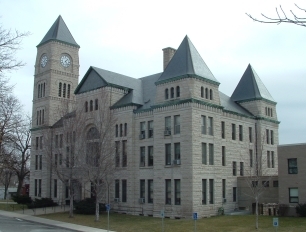 The district court is located on the second floor of the historic Atchison County Courthouse in Atchison, Kansas. The Atchison Bar Association meets for a monthly bar luncheon, at which the members exchange ideas and discuss items of interest to the local bar. 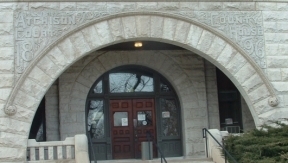 The Atchison Bar also oversees the Atchison County Law library. The Bar Association strives to foster the finest in professionalism and courtesy, as well as leadership in the local community. The Association promotes community respect for the rule of law and respect for the professionals who work in our legal system. Any licensed attorney in good standing who practices or resides in Atchison County, Kansas may be a member of the Atchison Bar Association. Contact Rex Lane, president of the Atchison Bar Association, for more information. Copyright © 2017, Atchison Bar Association, all rights reserved.